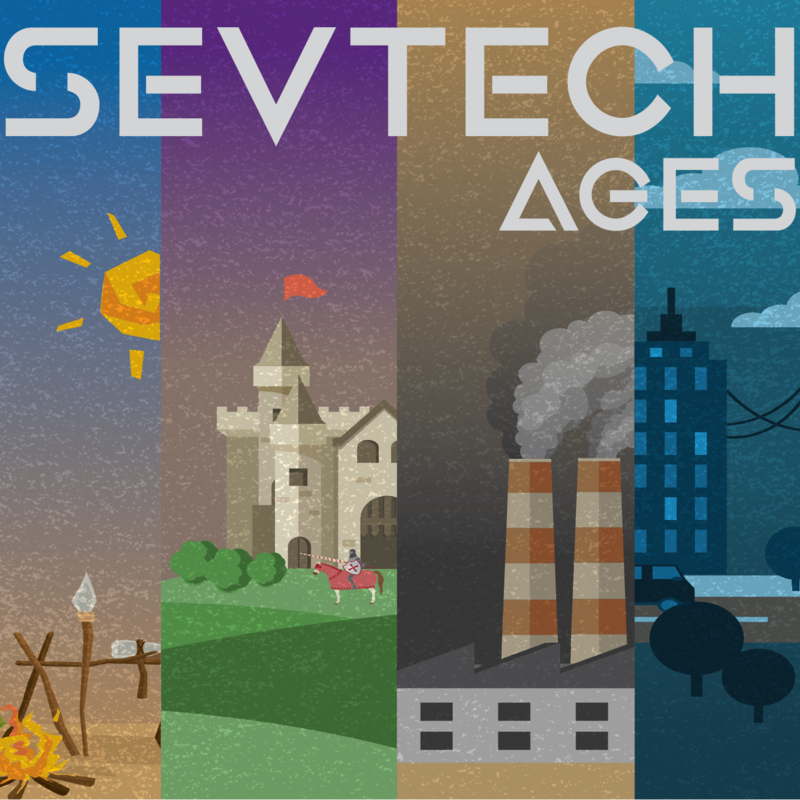 SevTech: Ages is a massive modpack packed with content and progression. This pack focuses on providing the player a long term progression experience with purpose. SevTech introduces a number of mechanics never before done such as: hiding ore until unlocked, dynamically hidden items and recipes based on progress, new mobs appear as you progress further and much more! The modpack uses the vanilla advancement system to guide the player along while still allowing an open, sandbox experience. As you progress through the hundreds of custom advancements you will unlock new "ages" which will show you new mods to work through. Note: This pack will continue to add content after its initial release. The aim of these updates will be to provide a prestige system, more advancements, extra end-game content, and bug fixes. We will do everything in our power to make sure no update will corrupt worlds and a transition into a new update is as smooth as possible.